The plus-size fashion industry has grown to heights that I don’t think many of us ever thought we would see. Plus-size fashion is mainstream now and every body is looking to jump on the bandwagon. We’ve seen a lot of straight sized designers dabble into plus by offering sizes up to a 20 or even creating a full blown plus size line. 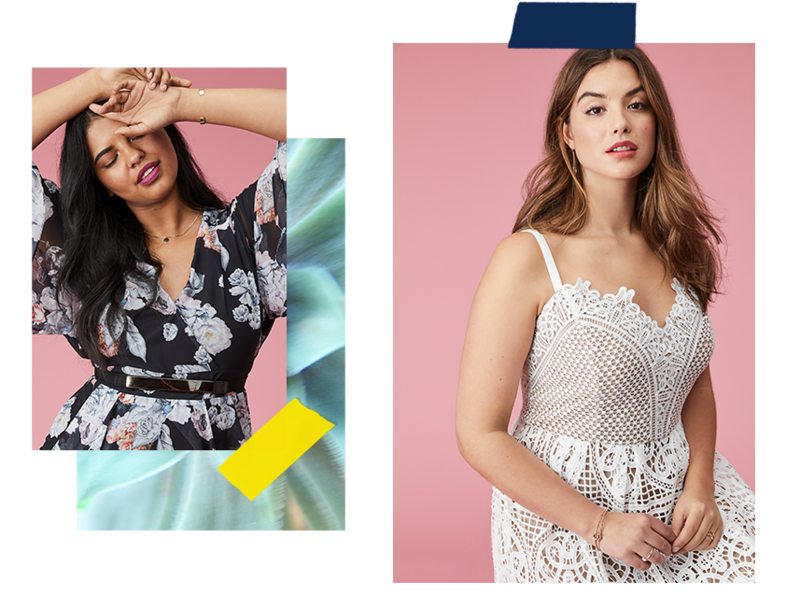 Today, plus size women have more places to shop than ever before. I mean that literally. Back in the day, there were a handful of stores for curvy women to shop. Now, we have a myriad of places thanks to the internet. For years, Full Beauty aka One Stop Plus has been one of the biggest all in one online shopping sites for plus size women. 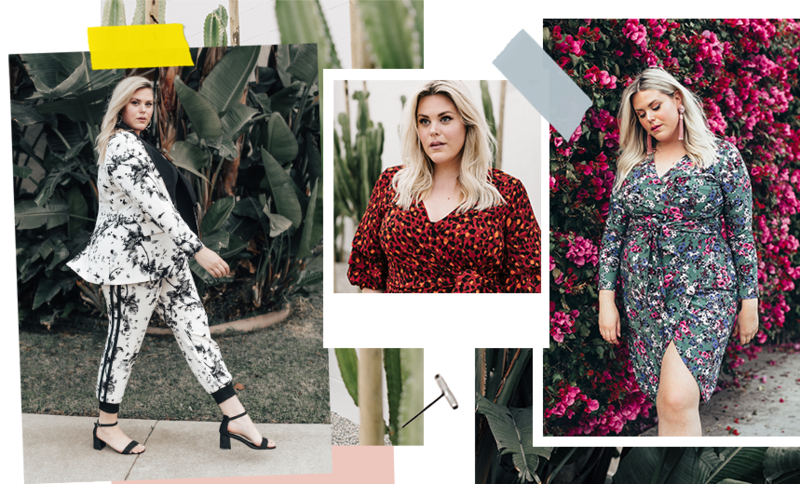 Now, there is a new brand on the block and they want to be the one-stop shop for plus size women. Say hello to CoEdition, a new e-commerce site founded by Gilt executives. The one-stop shop site will offer a multitude of contemporary brands in sizes 10-26. In addition, the e-commerce site will offer shoes, bags, and accessories. Many are comparing CoEdition to Revolve and Shopbop. I think CoEdition is very similar to Full Beauty and to Hello Gorgeous (Remember Hello Gorgeous?). At first glance of the CoEdition site there are some obvious differences than Full Beauty and Hello Gorgeous. For one, CoEdition carries high end designers shoes like Stuart Weitzman. Also, they do offer bags, and accessories. At CoEdition, you’ll find designers like Rachel Roy Curve and Cynthia Rowley. You’ll also get to shop contemporary plus size brands like City Chic, NYDJ, and Tahari. They’re also offering swimwear, lingerie with pieces from Hips & Curves. CoEdition also plans to create editorial looks on the site as well as be a go to for outfit ideas. They plan to make the site consumer driven, where shoppers will be part of a community where they can leave feedback about the way clothing fits. And even generate their own content. The e-commerce site launched today and they already have an influencer feature with Alex Michael May. I read this article and found it very interesting, thought it might be something for you. The article is called This Is The New Go To Shop For Plus Size Women and is located at https://stylishcurves.com/plus-size-fashion-site-coedition/. They aren’t bringing anything to the table we haven’t seen before. The prints and styles are very basic and uninspiring. Too many stores act like cury women don’t know trends or don’t appreciate some creativity when it comes to clothing and accessories. How is this any different from what is being sold at Nordstrom or Macy’s? There are a few cute pieces they feature on the homepage (go figure) but everything else is bland and I don’t see anything that matches up with spring trends. Show me something similar to what’s sold at TOPSHOP OR ZARA OR REVOLVE. Something new and now….in my size! Another one bites the dust….